Trading Stocks & Personal Development: Making the Complex Simple. Every momentum stock starts from a bottom formation breakout. 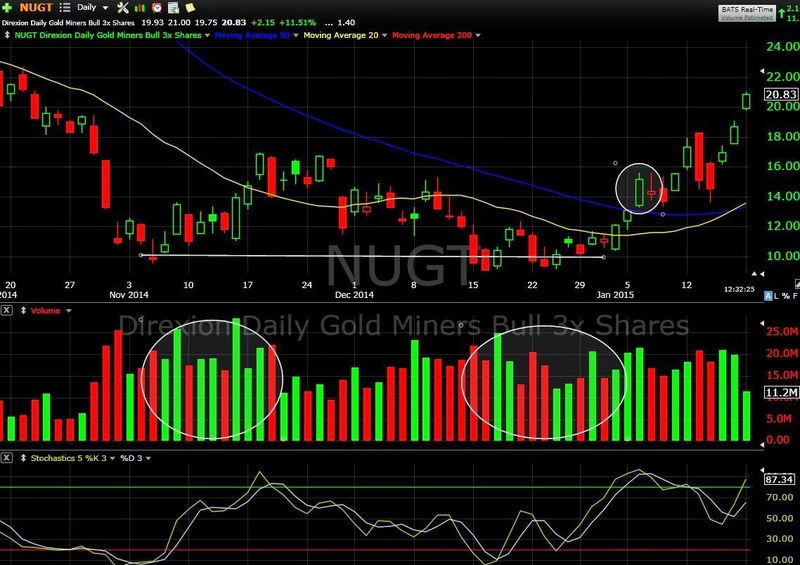 Back in November we started talking about Gold Miners as a potential bottom formation trade. Study this chart carefully and notice the positive volume as gold miners put in a bottom formation, the remount of the 50 dma and successful hold on pullback. If you would like to learn more about how I trade, receive my nightly focus list with market analysis,setups and trade alerts, sign up for a 14 day free trial at BullsonWallStreet.com.